Learning how to buy foreclosure homes can make or break the careers of those looking to invest in real estate. How do you buy a foreclosure? The answer is simple: mind due diligence and do your homework. Buying foreclosure homes isn’t impossible, but rather the result of hard work. If you want to buy a foreclosure, familiarize yourself with the process as a whole. Only then will you be able to realize success in the distressed industry. Today’s best real estate investors already know how to buy foreclosure homes, and it’s about time you did, too. After all, investing in distressed properties awards savvy entrepreneurs the opportunity to increase their profit margins in a way few other strategies can. It is worth noting, however, that buying a foreclosure has become synonymous with an entirely different acquisition strategy than that of their non-distressed counterparts. 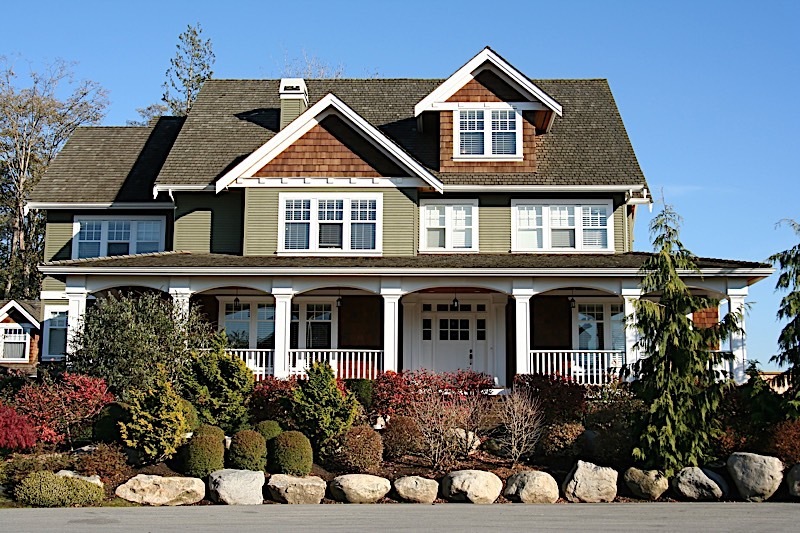 Though there are inherent similarities in buying traditional homes and foreclosures, they are only surface level; there are several difference that warrant your considerations. Perhaps even more importantly, it’s the investors that know how to buy foreclosure homes specifically that will exhibit a distinct advantage over the rest of the field. Foreclosed properties are the direct result of respective homeowners that are unable to meet the obligations set forth in their mortgage contract. In other words, foreclosure properties are more of a consequence than anything else; they are the byproduct of homeowners that can’t afford to pay their mortgage. So to be clear, a property is subjected to the foreclosure process if, and only if, the borrower fails to keep up with the obligations of the mortgage or deed of trust contract. In the event a homeowner is unable to make full principal and interest payments on their property, as stipulated in the mortgage contract, they have committed a clear breach of the same regulations they have already legally agreed to. As a result, it’s within the lender’s legal rights to foreclose on the property, seize the asset and evict the homeowner. More often than not, the lender will then try to recoup any losses they have incurred from the foreclosure process by attempting to sell them home after it has been repossessed. That way, the lender can at least attempt to make up for the years of lost mortgage payments promised by the original mortgage contract. The nature of a foreclosure property is, at the very least, simultaneously a sobering reminder of negligence and a symbol of opportunity. While nobody in their right mind would ever want to be subjected to the foreclosure process, their presence in a given real estate market awards savvy real estate investors the ability to procure a property, oftentimes at a significant discount. Distressed properties represent a great opportunity for those that know what they are doing, which begs the question: How do you buy a foreclosure? Pre-Foreclosures: As their names suggest, pre-foreclosures are assets that are essentially at risk of going into foreclosure. In other words, the lender has notified the borrower that they are in default (missed a mortgage payment or two), but have yet to take any more drastic actions toward initiating the actual foreclosure process. It is worth noting, however, that some homeowners in default may be given permission from their lender to sell at this time. As a result, homeowners in pre-foreclosure are typically more than willing to sell their property at a discount, in order to avoid the negative affects of going through an actual foreclosure. If you are an investor looking for pre-foreclosures, check the local courthouse or you can buy a foreclosure list online. Short Sales: Not to be confused with a pre-foreclosure, short sales occur when a lender has agreed to accept less than what is currently owed on the mortgage. That said, a homeowner doesn’t need to be in foreclosure to conduct a short sale; as long as they can prove some sort of financial hardship or provide a good reason for selling at a discount, the bank may let them (it’s better for the bank to allow a short sale than to lose the years of mortgage payments the borrower doesn’t appear to be able to pay). That said, buying a short sale isn’t all that different from a traditional transaction, but you can bet the language in the contract will reflect its own differences. More often than not, short sales are advertised as such, pending the approval of the bank, of course. Auctions: In the event a home falls into foreclosure and is actually repossessed by the lender, the loan originator will try and recoup any potential losses as fast as they can by selling the property at auction. Following a period of time in which the lender has notified the borrower of default and given them ample opportunity to catch up on mortgage payments, an auction will be held to sell the home to the highest bidder. That way, the bank can make up for the years of lost mortgage payments. Auctions can be found in local newspapers and online with a simple search, but you had better know how to navigate an auction before you show up to buy a home. Bank-owned Properties: For one reason or another, not every home is guaranteed to sell at auction; those that don’t become known as bank-owned properties. That means the home now belongs to the bank. Fortunately for investors, banks aren’t in the business of holding on to properties; they would rather sell them off their books, even if that means at a discount. Since bank-owned homes actually cost lenders money, they would rather sell them to anyone they can. If you play your cards right, it could be you. Once you have identified the type of foreclosure you intend to buy, there are four universal rules you should follow. Learning how to buy foreclosure homes has everything to do with conducting the appropriate research. What is a great real estate investor, after all, if not for one that minds due diligence and takes advantage of every opportunity to learn something new? If for nothing else, it’s those investors that are most prepared that stand to tip the scales in their favor. Take a good look at the types of foreclosures I mentioned above, and dedicate them to memory; you will most certainly want to learn how to buy foreclosure homes like these. Familiarize yourself with each stage of the foreclosure process and what it takes for each home to get there. Remember, it’s true what they say: knowledge really is power. The more you know about the foreclosure process, the better off you’ll be. Those that put in the time and conduct the appropriate research will be more prepared to handle what’s in store. Learn the process and, more specifically, how to navigate it. Learn where each of these types of foreclosures can be found and uncover the best way to buy them. Only then will learning how to buy foreclosure homes pay huge dividends. There should literally be nothing you don’t know about the process when the time comes to take the leap. Second only to research and education, those looking to learn how to buy foreclosure homes should already have an idea of where to line up financing. If, however, you are less confident in the best places to secure funding, there are two sources you must consider: private money lenders and hard money lenders. Private money lenders, as their name would lead many to believe, are basically anyone that has money they are willing to invest, but aren’t affiliated with an institution, such as a bank or lender. That’s an important distinction to make; it means they are able to make their own rules. As such, they can offer investors looking to buy foreclosure homes great loan options in a relatively short period of time. More specifically, private money lenders will typically lend investors money at an interest rate somewhere in the neighborhood of six to 12 percent — more than a traditional lender, but well worth it for the short turnaround time. Hard money lenders, on the other hand, are perhaps the second best source of funding for investors looking to buy foreclosures. Contrary to their private money counterparts, however, hard money lenders are affiliated with a company that specializes in lending. However, not to be confused with traditional lending institutions, hard money lenders will typically offer shorter loan terms. Hard money lenders will usually ask for about 11 to 15 percent and about five points (additional upfront percentage fees based on the loan amount). Understanding how to buy foreclosure homes isn’t all that different from knowing how to buy non-distressed properties. There is, however, one major caveat: patience is a virtue. While buying distressed homes and non-distressed homes can be similar, there are enough differences that warrant your consideration; namely, the underwriting. Due, in large part, to the circumstances surrounding most foreclosures, underwriting could serve to prolong the process, so be prepared to wait. It is not uncommon for investors buying foreclosure homes to spend longer on the process. There’s no doubt about it: knowing how to buy foreclosure homes can really tip the scale in your favor. REO properties, auction homes, pre-foreclosures, and any other type of distressed acquisition, can potentially offer you the spreads you need to get your business up and running. If for nothing else, foreclosures and distressed properties often sell at an attractive discount. Do you know how to buy foreclosure homes? Do you want to buy a foreclosure property, but are otherwise unsure of how to proceed? Please feel free to let us know how this primer helped to answer your questions in the comments below.